A New York Times article about a possible U.S. Senate run by Liz Cheney incudes this passage: "Ms. Cheney, the mother of five school-age children, has become ubiquitous, appearing many times in communities over 300 miles from home." This struck me as faintly disapproving verging on sexist, as if the Times reporter was saying, "shouldn't she be home with her children?" I can't recall a similar formulation being used by the Times to describe campaigning by a male politician with school-age children. Similarly, the article says, "Ms. Cheney, a State Department official in the administration of President George W. Bush, is a pugnacious partisan and has called President Obama 'the most radical man ever to occupy the Oval Office.'" Jonathan Martin is a senior political reporter at POLITICO, where he covers national politics. Mr. Martin covered the mid-term elections from start to finish, touching down in 15 different states during the course of the campaign. He previously covered the 2008 presidential race for Politico, spending two years on the campaign trail and blogging every day about the historic contest. He then was on the White House beat for the first year of the Obama administration, travelling with the president across the country and overseas before returning to the politics beat. 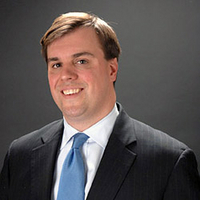 Before coming to Politico, Mr. Martin worked at National Journal's The Hotline and at National Review. Mr. Martin regularly appears on CNN, MSNBC, CSPAN, NPR, ABC and CBS to discuss politics. His work has been published in The New Republic, the National Journal and the Washington Post. A Virginian, Mr. Martin is a graduate of Hampden-Sydney College.